Born and raised in Louisville, Kentucky, Lance Burton burst onto the national stage on October 28, 1981 by making his first appearance on The Tonight Show with Johnny Carson. Over the years he racked up appearances on David Letterman, Jay Leno, The View, Craig Ferguson, The World’s Greatest Magic, Hollywood Squares, and even acted in guest staring roles on Knight Rider, and Las Vegas. In 1996 Lance Burton’s first TV special, LANCE BURTON MASTER MAGICIAN; THE LEGEND BEGINS, aired on NBC. This was quickly followed by a series of annual TV specials. He also hosted specials for The History Channel, Discovery, Animal Planet, The Family Channel, and many more. While successful on TV, Lance Burton’s greatest accomplishments have been made in live performance. 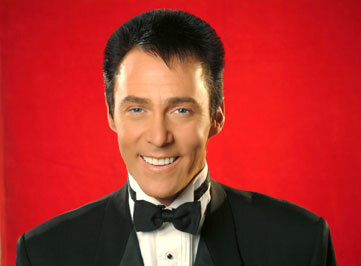 Working primarily in Las Vegas he has performed an astounding FIFTEEN THOUSAND shows in his 30-year career. His last performance was September 4, 2010. Today Lance Burton is happily retired and lives quietly in Las Vegas. He spends his time supporting a number of charities including Nevada SPCA, Variety Children’s Charity, and the Shriner’s Children’s Hospitals. He mentors young Magicians, and has taken up a hobby, filmmaking. 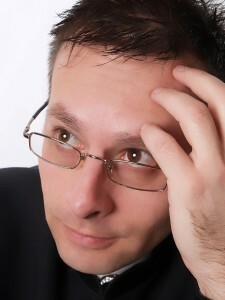 He is currently working on a number of documentary and narrative film projects. 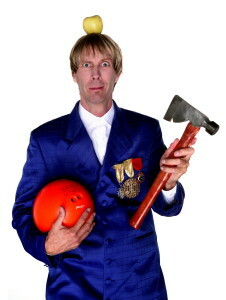 Lance Burton is in post-production on “BILLY TOPIT MASTER MAGICIAN” which will mark his debut as a Film Director. Recently Lance worked on “OZ THE GREAT AND POWERFUL” as Magic Advisor. He taught magic to James Franco, who he now considers his number one student. Rory Johnston is a storyteller – whether through acting, writing, directing, or performing magic. As an actor, Rory has appeared on stage and in film many times, including having appeared in Minneapolis, Des Moines, Denver, Detroit, and San Diego as Buzz Maxwell in the hilarious play, Triple Espresso. 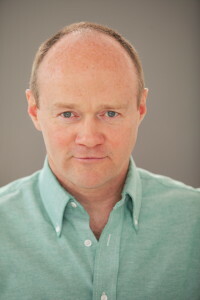 Rory is also a writer/director, having written novels, screenplays, and plays. He wrote the films The Secret Agent Club and Prey of the Jaguar, and wrote/directed Warner Brothers production The Maverick Illusion Show, and the musical Nick Saint. He also wrote and directed the soon to be released family feature film Guard Dog. His thriller novels can be found on Amazon.com. Considered one of the top comedy/magic acts in the world today, Mr. Johnston has made audiences laugh throughout the world. He has performed for almost every high-end cruise line and won rave reviews as the star the Las Vegas production shows Cabaret Circus and Bedazzled. His magic has been televised nationally and he was a cover subject of MAGIC Magazine, the prestigious international publication for magicians. Born in Youngstown, Ohio and raised in the glimmering lights of Las Vegas, Joelle Righetti has been shaped not only by her home city, but also by her Italian heritage. With over 20 years in show business, Joelle, has worn many hats in her career: Singer, Actress, Cher Impersonator, Magician’s Assistant, Musician, and Songwriter. Her longest claim to fame was with the Lance Burton show as the lead magician’s assistant for 18 years. Joelle has also been a featured performer with Vegas! The Show and Broadway’s Best Little Whore House in Texas as well as her own 20 Minute Cher act. No stranger to the music scene, this songwriter made a name for herself as an independent local artist participating in EAT’M (Emerging Artist and Talent in Music), as well as the local radio station Mix 94.1’s Bite of Las Vegas, a yearly food and music festival hosting 10,000 people yearly. As an original recording artist, she has opened up for several national acts including Fuel, Warrant, Firehouse, and Frankie Perez. Joelle’s original music got airtime on Las Vegas’s prominent local rock radio stations, as well as national exposure. In the acting world, Joelle made an appearance on Fox’s Raising Hope in the Henderson, Nevada episode. Recently, she worked on a feature film, Billy Topit Master Magician, as the Feature Lead. Billy Topit is currently in post production. 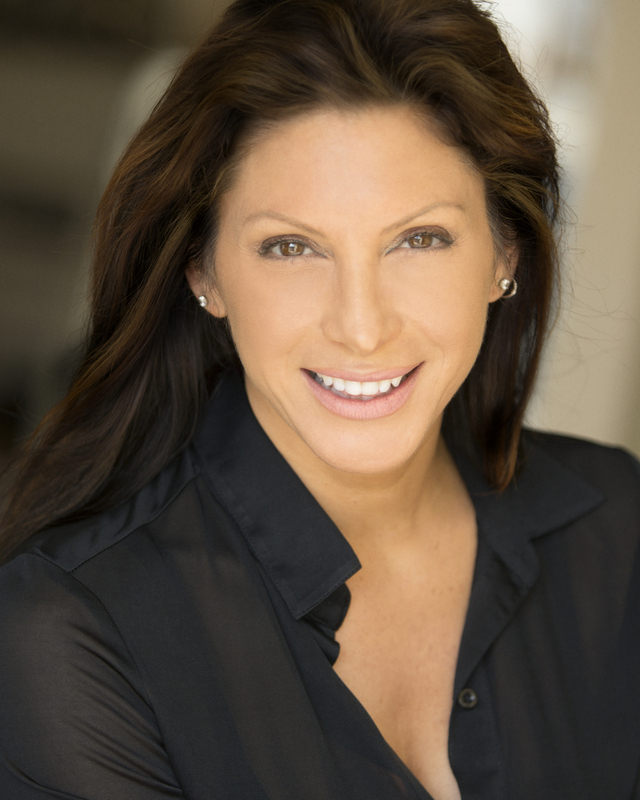 Joelle has been honored with a nomination for the Top 100 Women of Influence in MYVEGAS magazine in 2014 and 2015. Beyond on her artistic pursuits, Joelle has a huge heart for those in her family and community. As a single mother, her love for her son knows no bounds. Joelle also spends time leading worship for her church and mentoring those with addictions. Joelle Righetti is the whole package: funny, artistic, caring and, undoubtedly, talented. For more information on Joelle go to www.joellerighetti.com. Fielding West is not only a magician’s magician but he possesses that very rare and impeccable sense of comedic timing that has landed him the opening spot for some of the biggest names in show business. 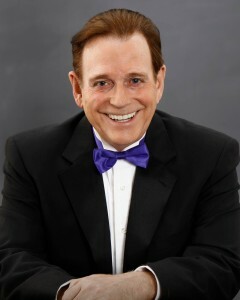 Fielding has opened the show for such A-list celebrities as Liza Minnelli, Glen Campbell, Earth, Wind and Fire, Mel Tillis, Phillis Diller and dozens more. Fielding West’s acting roles include guest staring roles in Murphy Brown, The Jackie Thomas Show, and the upcoming feature film Guard Dog. 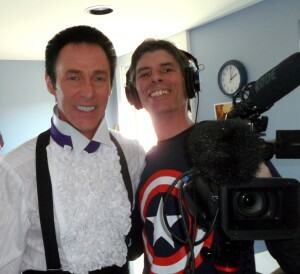 Fielding has also worked as a writer, magic consultant and technical director with Lance Burton, Siegfried and Roy on many of their TV specials. Fielding’s first one hour comedy magic special “Hocus Pocus it’s Fielding West” aired on WGN July 2009. What do you get when you combine hysterical comedy, the excitement of a sporting event, and the world’s most unusual audience participation stunts? Russ Merlin is the answer. This Tonight Show alum has been making people laugh in 51 countries on five continents in his stage, cruise ship, casino and corporate event performances. From New York’s Carnegie Hall to command performances for The Queen of England and The Sultan of Brunai, Russ’s unique talents have brought him to some of the most exotic stages on the planet. He was most proud to be the first American in 25 years to perform at The Water Festivals in Cambodia and Laos before one million people. No stranger to Las Vegas and Atlantic City, repeat hotel appearances include The Flamingo Hilton, MGM Grand, Bally’s, Caesar’s Palace, Trump Castle, The Sands, The Claridge and The Golden Nugget. 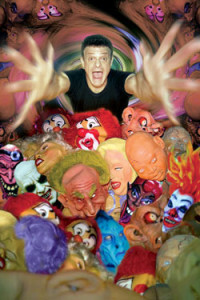 Currently, Russ is one of the most sought after entertainers on the corporate show circuit. With over 500 corporate event performances to his credit, his one man show has become a staple among corporations such as Compaq, Sony, Hewlett Packard and Toshiba – just to name a few. As well, Russ has shared the stage with many renowned celebrities such as Bob Hope, Rod Stewart, Lou Rawls, Joan Rivers, Diahann Caroll and several other international personalities. 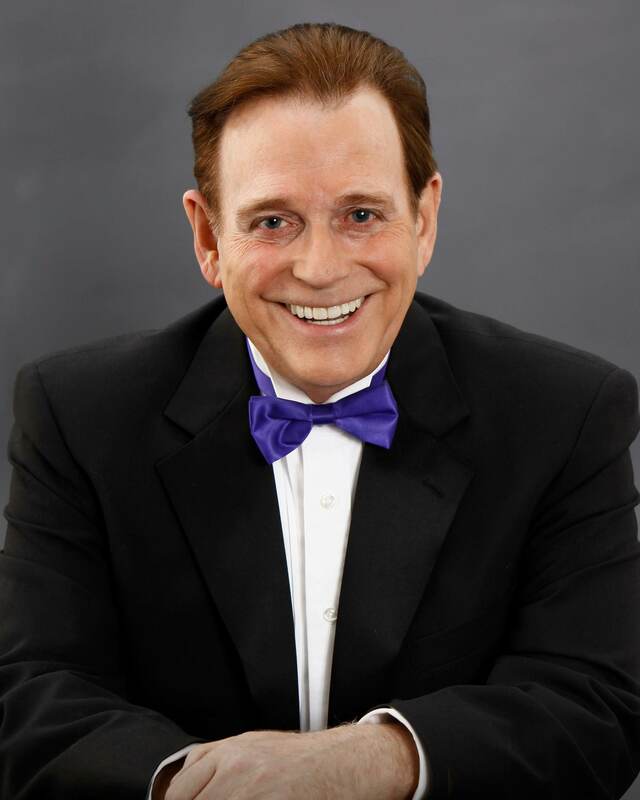 Michael Holly came to Vegas in 1987 to perform in Starshop at the Sands Hotel and has been the comedy star of many shows since then the including Spellbound at Harrahs, Folies Bergere at the Tropicana, V-The Ultimate Variety Show at the Venetian, Vegas! The Show at Planet Hollywood, even a few weeks at the world famous Lance Burton Magic Show at the Monte Carlo (When Michael Goudeau was lounging in the Bahamas). He also starred in his own show, Michael Holly’s Off The Wall Comedy Hour, at the Sahara Hotel, which was highest rated one man variety show ever! Tommie Laing spent years readying himself for a role in Billy Topit. Perhaps his favorite part was moving to Vegas to study Elvis impersonators. He then took a job in a big magic show on the strip to learn how to act around “professional performers” as well as becoming proficient as a magicians assistant. Tommie says his favorite part was attending Clown College and performing for a year in Ringling Bros. & Barnum & Bailey Circus to really capture the clown character he plays in one scene. Classes at Second City readied him for improvising with the talented cast members. It was his favorite part. The shirt he’s got on in the photo accompanying this was worn in the movie by Lance Burton! It’s available on eBay. Oh, he also wanted me to mention that he wrote this himself. I love me, he says. That’s his real favorite part. George Joseph does double duty in Billy Topit. He appears on screen playing the part of the Sheriff. Behind the scenes he is our gambling consultant, who made sure the poker cheating scene was realistic. And… there is a character in the movie named George Joseph, played by Mike Rome. (Which BTW was based on the real George Joseph.) Actually that is triple duty. 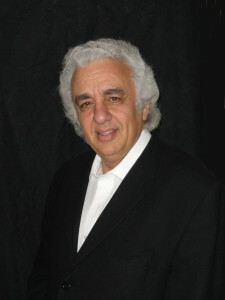 George Joseph began his gaming career in Las Vegas in 1974 as a dealer and entertainer. He worked for the owners of the Aladdin Hotel, the owner of the Dunes Hotel and for 10 years was the Corporate Director of Surveillance for the Bally Corporation Casinos answering to the Chairman of the Board. George served for 10 years on the Board of Directors and Ethics Committees of the Nevada Polygraph Association and holds several gaming and vendor licenses. He is currently president of Worldwide Casino Consulting, a Nevada based corporation whose core business is casino game protection training and compliance reviews. 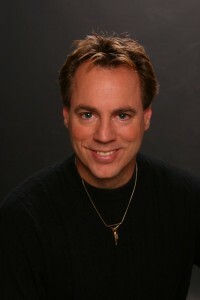 Mr. Joseph has been instrumental in uncovering many of the biggest casino scams in the gaming industry and has been a consulting investigator and expert witness in countless casino cheating prosecutions for over thirty years. George Joseph regularly appears on National Television specials which feature casino cheating. Paul Vigil is a performer, author, and lecturer. He has twice received the Merlin Award from the International Magician’s Society and his show at The Mirage in Las Vegas has garnered ecstatic reviews. Paul continues to push his unique style of magic and mind reading into new territory. Michael began his professional career doing Musical Comedy in Dinner Theatre in Rockford Illinois. College Theatre at Northern Illinois University was next, followed by Regional Theatre in Sothern California. Las Vegas seemed like a good next-stop. There he danced in lavish extravaganzas like the Tropicana’s “Folies Bergere” and the Las Vegas Hilton’s “Moulin Rouge”– with a 2 year stint singing and dancing on cruise ships in-between. Michael was then fortunate enough to land the gig as Company Manager of the Lance Burton Shows at both the Hacienda and the Monte Carlo Hotels. There, Michael got to show-off his sword fighting and comedic skills in front of millions of audience members over the years….. Thanks for the gig Lance! As an Actor Johnny Thompson has appeared in numerous TV shows including ONE DAY AT A TIME, FANTASY ISLAND, and HART TO HART. His Feature film credits include the comedies SERIAL and LUNCH WAGON. Pamela Hayes is a classically trained actress who studied with Lee Strasberg, the director of the Actors Studio in New York. As an up and coming actress she also worked as a model and magician’s assistant. 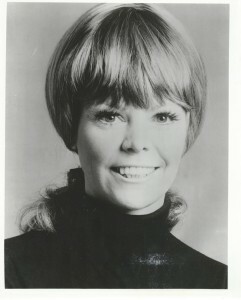 She appeared in summer stock productions of The Importance of Being Ernest and other plays, including Beginner’s Luck with Bob Crane of Hogan’s Heroes fame. In 1973 Pamela Hayes married Johnny Thompson and soon afterwards joined his act as the “& Company” in The Great Tomsoni & Company. For the past several decades she has entertained audiences all over the world. From numerous TV appearances to Las Vegas showrooms, Tomsoni and Company were known as the go-to act for Comedy and Magic. In 2010 she became the first magicians assistant ever to be awarded a “Performing Fellowship” from the Academy of Magical Arts. Born in Austin, Texas and raised in Phoenix, Arizona, Bob Massey has lived and worked in Las Vegas, Nevada for the past 20 years. 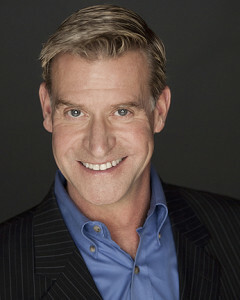 His work has been seen in a wide variety of media, including network TV shows, commercials, instructional DVDs, corporate events, and live stage shows. Bob Massey is an avid snowboarder, a commercial airplane pilot, and all around adventure junkie. He is also an accomplished magician, which makes him the perfect choice to be DP on BILLY TOPIT MASTER MAGICIAN.